Carlton’s shoe repairers business was established at 29 Barton Street by Arthur Carlton in 1894. The photograph dates from roughly 1950, and you can see an enlarged image by clicking on it. 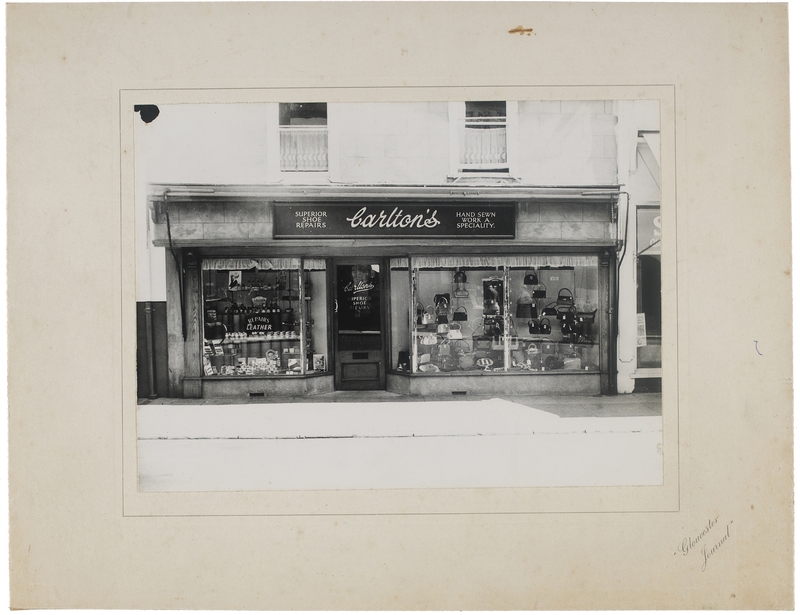 Additional documents concerning the business and the Carlton and Vallender families who ran it can be seen at Gloucestershire Archives using the reference number given under the photograph. Does anyone remember Carlton’s? We’d be pleased to share your memories, which you can leave at the bottom of this page, or through this link.